To help every person attain optimum dental health through the best education and state-of-the-art, comfortable dentistry, demonstrating that modern dentistry is surprisingly gentle. To be a unified team which truly cares about making people feel better and improving the quality of people's lives. To enable everyone in our dental home feel good about themselves by raising their self-esteem. To provide a fun and positive experience for our staff and patients where everyone feels well taken care of. Gentle Dental Care is conveniently located in the heart of Hoboken on Washington Street between 7th and 8th. Please call 201-659-8800 to make an appointment. 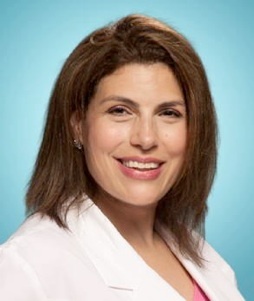 Born and raised in New York, Dr. Sharon Stern graduated from Columbia School of Dental and Oral Surgery in 1988. After moving across the river to New Jersey, she worked for Mobile Dental Care- providing full dentistry to hospital and homebound patients throughout New Jersey.